Aeromapper Talon amphibious UAV is built on a fully waterproof platform. Credit: Aeromao Inc. The Talon UAV amphibious variant was unveiled by Aeromao in March 2019. Credit: Aeromao Inc. The lightweight structure of the Aeromapper Talon UAV enables the launch by one personnel. Credit: Aeromao Inc.
Aeromapper Talon is an unmanned aerial vehicle (UAV) designed and manufactured by Aeromao, an unmanned systems producer based in Canada. The amphibious variant of the fixed-wing UAV was officially launched in March 2019. 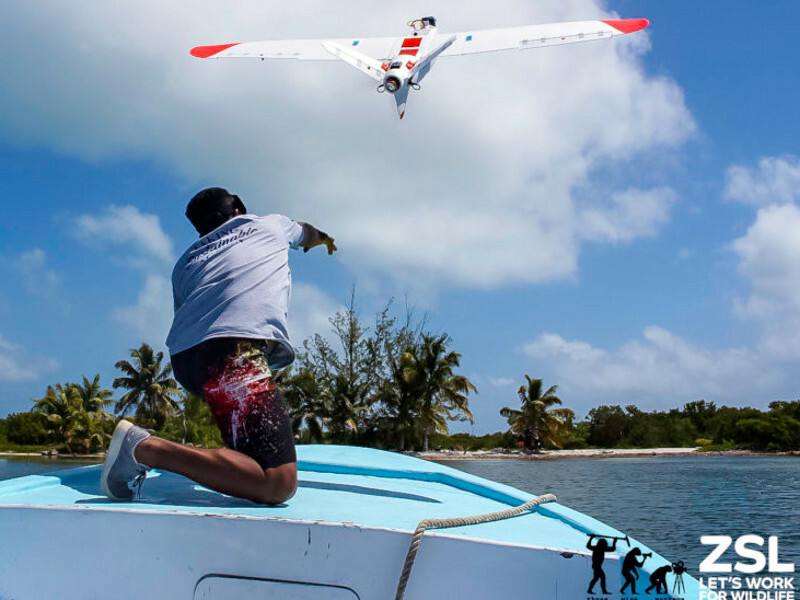 Designed to perform maritime operations, the unmanned aircraft operates autonomously and has the capability to take-off from or land on large water bodies. Lockheed Martin awarded a contract to Aeromao for the delivery of an autonomous aircraft in 2018. Lockheed received the UAV in December 2018. Aeromao and GeosUAS demonstrated mission capabilities of the autonomous aircraft to Air Sciences in January 2019. 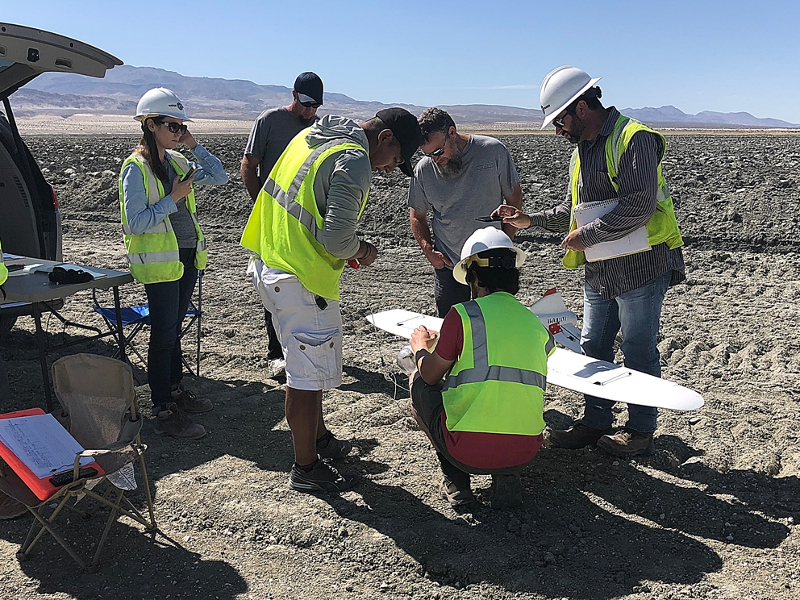 The UAV can be deployed in aerial observation, data gathering, mapping, hydrographic surveying, wildlife monitoring, search-and-rescue, inspection, conservation and environmental, fisheries, and water management operations. 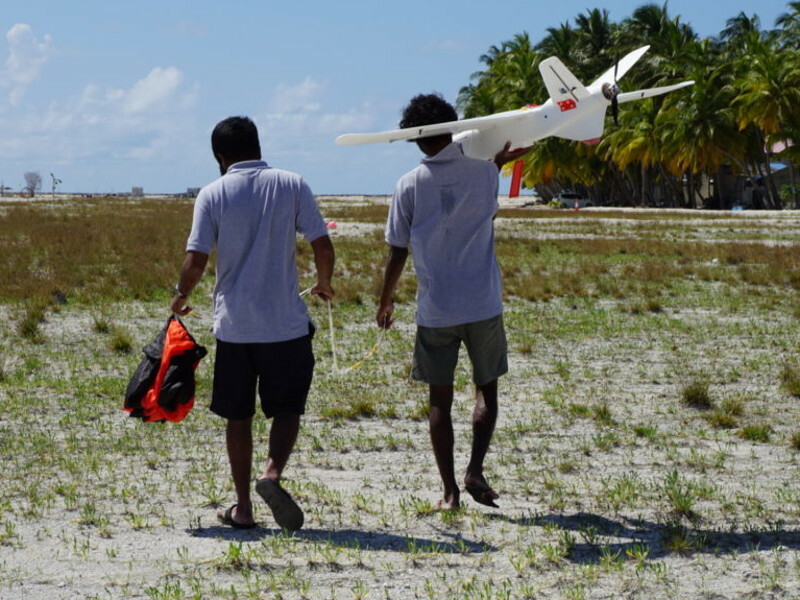 The amphibious capabilities and applications of the UAV were tested by the Zoological Society of London in the British Indian Ocean Territories (BIOT) in July 2018. The UAV was deployed in the Padilla Bay by a research team of Western Washington University to identify the health condition of the eelgrass beds in December 2017. The fixed-wing UAV integrates a compact design, while its aerodynamic configuration enhances aerial performance and operational efficiency. The UAV is based on a fully waterproof platform made of expanded polyolefin (EPO) foam and carbon fibre reinforced material. The fuselage avoids sinking and damage when landing on water. It also improves mission reliability and reduces maintenance expenses. Weighing 3,600g, the autonomous aircraft system has a wingspan of 2m. Landing and take-off operations of the UAV are completely automated. Its lightweight structure facilitates easy launch, while belly landing can be performed on water or land. A parachute can also be used for smooth landing on the ground. The UAV can be operated in multiple flight modes, including fly-by-wire, return to home, auto, stabilising, and manual. Aeromapper Talon is designed to carry a range of payload systems such as a Sony 20mp camera, which captures high-definition visuals facing down, a long-range video transmitter, a mission planner software system, a Lipo battery charger, and battery systems. It can also be equipped with a ready-to-use forward-looking camera. The standard video signal range of the UAV is up to 20km, which can be optionally increased up to 40km with the integration of a 24dBi parabolic antenna. The UAV can be optionally equipped with a locator beacon to facilitate beyond visual line of sight (BVLOS) drone operations at a maximum range of more than 30km. Aeromapper Talon can be controlled from a portable GCS. Mission data and flight plans are fed to the UAV from the control station, while the data gathered by the UAV will be relayed to the GCS for further analysis. A rugged waterproof carrying case houses the GCS, which integrates a 10in liquid crystal display (LCD) screen, redundant receiver technology, long-range antennae, a tripod stand, and a diversity receiver. It further integrates a handheld controller to optimise camera panning to enhance the UAV’s field of view (FOV). Aeromapper Talon is equipped with a set of rechargeable batteries, which allow the UAV to continuously perform operations for two hours. GCS also features swappable rechargeable batteries to increase the hours of operation. The autonomous vehicle can fly at a maximum speed of 85km/h and a cruise speed of 62km/h. It can tolerate wind speeds of up to 45km/h during take-off and landing. Parachute landing can be performed at 25km/h wind speeds. The UAV is capable of performing operations at a maximum altitude of 4,500m above sea level. It operates within the temperature range of -20ºC and 40ºC.